Downtown, in the West Village and near the Hudson. A lovely neighborhood where the locals greet you while walking their dog. Within walking distance of the Meatpacking District and with many restaurants nearby. We´ve stayed here a couple of times. Each in our own small but cosy “standard cabin”, which offers just as much space as needed. Each floor has a bathroom with toilets on both ends and they´re cleaned almost every hour. In your room is a bathrobe and slippers so you can go to the bathroom in style. Bunk bed cabins (a no go if you ask us, way too small) and double rooms with private bathrooms are also available. The really nice area. Friendly staff. From here you are within walking distance of restaurants, shops and neighborhoods like Chelsea, SoHo and Meatpacking District. Guests can make free use of the hotelbikes, weather permitting. Very small (but o so cosy) room. You have to share the stylish and clean bathrooms with other guests. It can be a bit noisy. No luxury but great atmosphere. The times we were there you could frequently find us in the inhouse Cafe Gitane - a great place for breakfast, a cocktail or late night supper. We loved that place and hope that the new restaurant "Old Rose" is just as good. One thing's for sure, the lookout on The Hudson is grand! 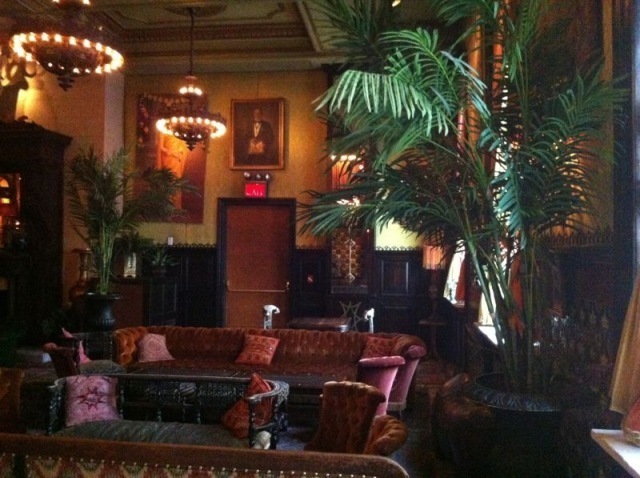 The Ballroom (a bar/club) is also housed in The Jane. Depends on the period of time but somewhere around 80 - 130 dollar per night per person for a single cabin. Check here if they have availability. 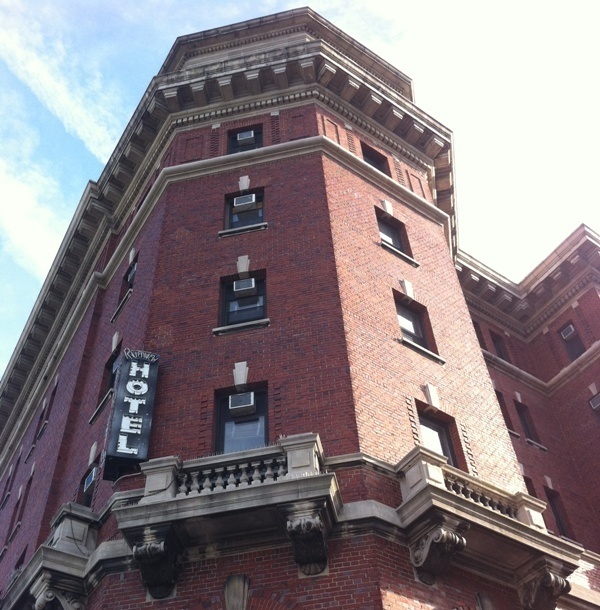 You'll find some more of our hotel reviews in the guide/stay section. But if you want to get an overview of all available accomodation in New York click here. The Pod hotel in Brooklyn. A great place to stay in Williamsburg. A cool neighborhood. 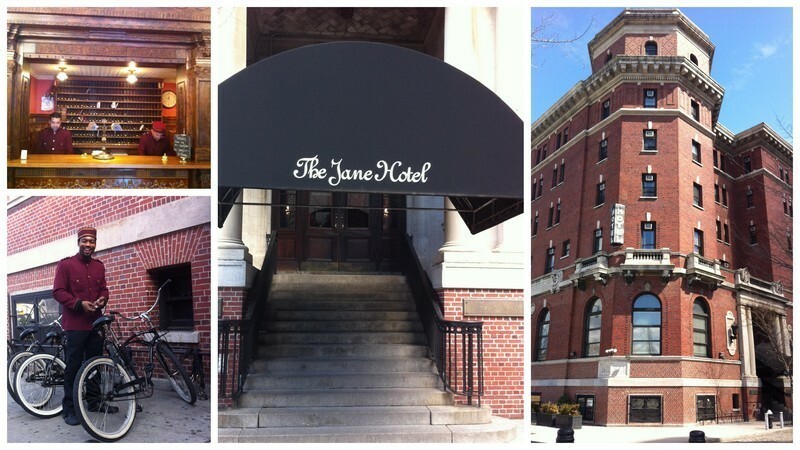 With so many hotels in Manhattan how do you know which one to pick? The Paper Factory Hotel in Queens. A cool and hip industrial-chic place to stay in NYC. Chelsea is fun! If you’re in to art or like to go out and dance this is your area. If you want to stay in Midtown and don’t want to pay a fortune then this is your place. Located in the Financial District but not so much of a corporate environment as expected.